BLADE RUNNER is a trademark of Blade Runner Partnership. 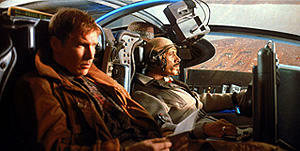 Blade Runner: The Final Cut (c) 2007 The Blade Runner Partnership. TM & (c) 2007 Warner Bros. Entertainment Inc. All Rights Reserved.